Many Britons were frustrated by the service they received from their ISP, found Which? Britons who get their broadband from the UK’s biggest suppliers are the “most likely” to be getting a bad deal, reports Which? The consumer group’s latest broadband satisfaction survey places the big providers at the bottom of rankings for service. Customers complained about slow speeds, poor value for money, connection dropouts and general service problems. TalkTalk and Sky are the two firms at the bottom of the satisfaction survey. The UK’s four big providers, BT, Sky, TalkTalk and Virgin, supply 90% of the UK’s net-using homes with broadband. The Which? results put TalkTalk at the bottom of the table for customer satisfaction and say it “failed to score well in any category”. Which? figures suggest that TalkTalk customers are most likely to experience slow browsing speeds and connection dropouts. In a statement, TalkTalk said the results were “disappointing”. “We are already seeing more customers than ever staying with us as we continue rolling-out major service improvements,” it said. TalkTalk said it had now introduced online tools to help customers resolve queries and questions more quickly. And it pointed out that Which? had also picked its home wi-fi hub as a “best buy”. BT, meanwhile, pointed out it had received fewer complaints about its broadband, home phone and mobile services than in the 2018 survey. Sky declined to comment on the survey results. Zen Internet came out top of the satisfaction table, with a score of 87%. By comparison Vodafone and Virgin had 58%, BT 51% and Sky and TalkTalk 50%. The bottom three all managed minor improvements in ratings over their 2018 result. “It’s outrageous that the biggest providers are still letting their customers down with shoddy broadband, especially when we know that longstanding customers are the most likely to be overpaying,” said Natalie Hitchins, head of home products and services at Which? Previous Which? research, released in December, suggests customers who stick with one supplier and do not push for a better deal could be overpaying. And about 70% of the 8,000 subscribers surveyed by Which? in January, for its 2019 report, said they had been with their current broadband provider for more than three years. Ms Hitchins said customers who were unhappy should haggle for a better deal from their existing supplier or switch to a new one to cut their broadband bill. “You could get better service and save hundreds of pounds a year,” she said. 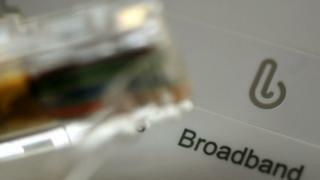 Analysis by Ofcom suggests one in seven UK households is paying more than necessary for broadband and could receive faster services for the same or less money. Its Boost Your Broadband campaign aims to help consumers lobby for better service and lower costs.